Well, that was a little rushed. 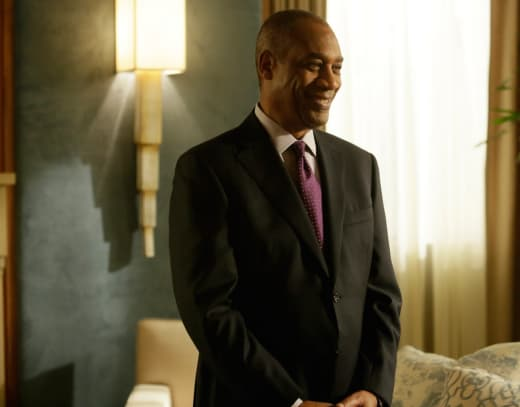 Scandal Season 7 Episode 18 had a lofty ambition: it had to close up seven seasons worth of storylines in a satisfying manner, and for the most part, it all felt a little too tidy to take seriously. We'll speak about the significant death first because it irked me the most. It's horrible that David was the one killed off because he was probably the sweetest person out there. The way his death was executed was awful. I mean, he knew what Cyrus was capable of, and I called Cyrus poisoning him the moment they met up. 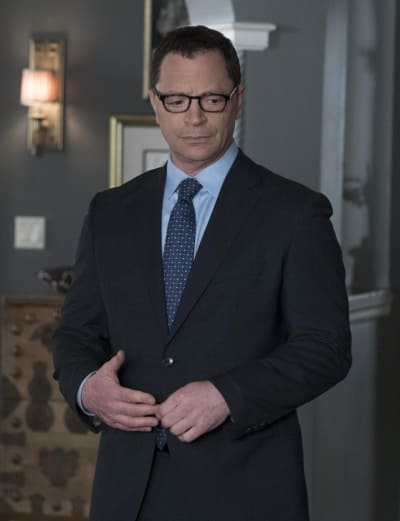 David is not silly, and while he may be a little naive, it doesn't sit well with me that he didn't think Cyrus would take a strike at him. I started to zone out of the episode as a result of this death that was thrown in for shock value. It was so unsatisfying to have Cyrus get to walk away, but it was evident he was hurting. If you watch Scandal online, you will know that he's been causing trouble for the better part of seven years with the aim of being the one in power. At some point, that comes back to haunt you, and I was surprised we never got a final shot of him ending his life. Having everyone aside from Jake incarcerated was undoubtedly more low-key than I thought things would go, but I have to give credit where credit's due and commend Olivia for being there for Jake. 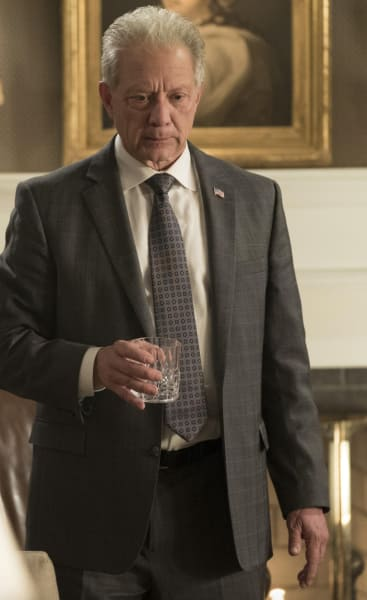 Despite everything that went on between them, the fact that she showed up and showed remorse for her actions and for bringing Jake out of the sun showed Olivia still had redeeming qualities, and that's likely why she made it inside the White House again down the line. Oh yes, I'm talking about that portrait. Mellie and Fitz had one, and what do they have in common? They have both been President of the United States. It was an ambiguous ending, for sure, but it seems that Olivia, in spite of everything, makes it back inside the White House and makes some decisions for herself. I'm not going to say she deserves it because of the stunts she's pulled over the years, but she made it. That's a big deal. Oh, and I'm surprised Mellie lived through the finale without having the obligatory terminal illness thrown in. I thought for sure Mellie was being killed off, so I was pleasantly surprised. 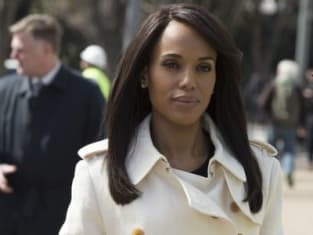 Mellie focusing on gun control proved that Olivia wanted to make sure things were changing in the United States, but there was something more telling about that scene: Mellie was ready for the world to know she's in a relationship. She and Marcus side-by-side was a long time coming, and it looks like they're going to have a long and loving relationship. 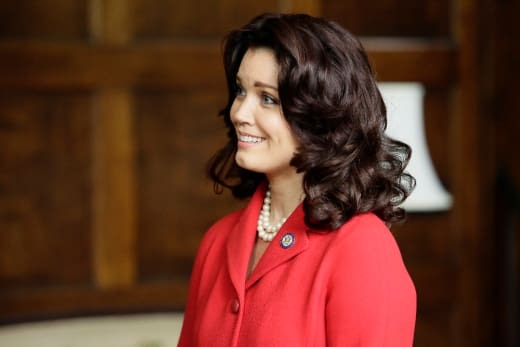 Mellie has struggled with decisions while being in the White House, and having Olivia around for moral support helped a lot, but the best moment for me was Olivia telling Mellie it was time to move on and make decisions for herself. She was like a teenager graduating from high school and realizing they were in control of their lives now, and that they could call the shots. The wedding in prison between Charlie and Quinn was random, but it was about time. This is the wedding that seemed it was never going to happen. Wouldn't it have been funny if Quinn skipped town because of Charlie revealing his real name was Bernard? Where did that even come from?! In any case, they are getting to live a happy life, but something tells me they're not going to be able to stay away from the world of murder. Then there was good old Rowan, who showed up and saved the day for most of the characters. It was hilarious that he managed to turn the tables and said that he was the one responsible for everything and still managed to remain a free man. It looks like all of those years of ranting away about things have finally paid off, and people are starting to take him seriously. I was surprisingly okay with the way Olitz left things. I understood that they were on the road to getting back together, so it would have felt like too much, too soon to have them an official couple before the series wrapped. 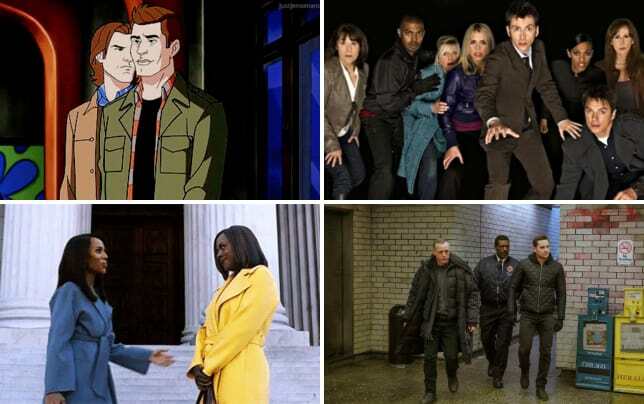 "Over a Cliff" was an appropriate title for the series finale of this long-running series. It might as well have taken place in some alternate reality that the team found themselves in after jumping over a cliff upon realizing they were going to jail or something. It's not going to go down as one of the worst series finales, but it's not going to be making a splash for being all that memorable either. What did you think of the finale? Are you glad it's finally over? What surprised you the most?